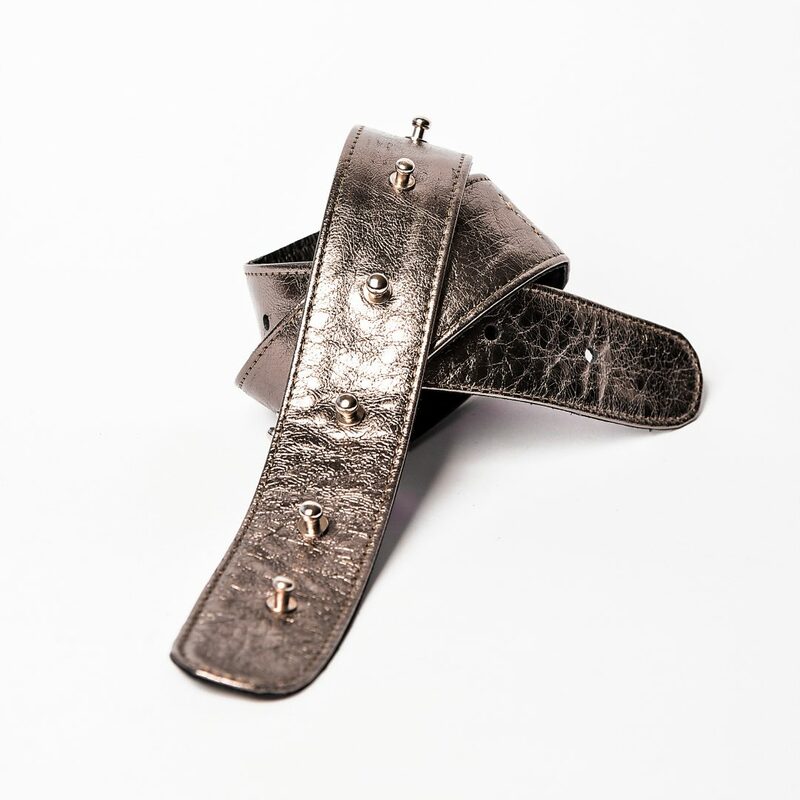 Leather bronze belt. One size. Features metal hardware.